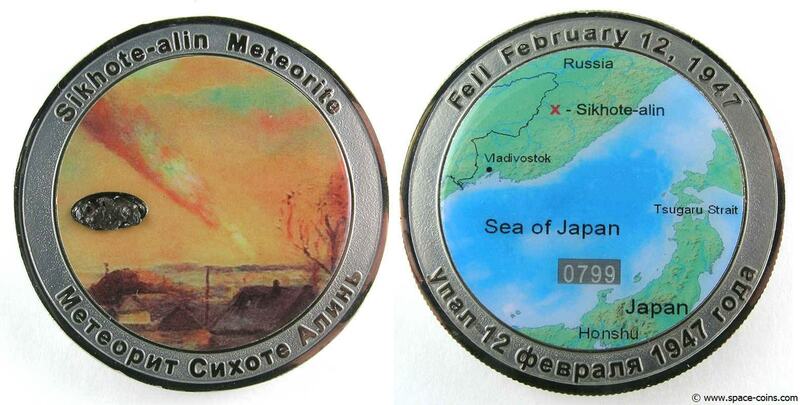 Attached in a recessed crater on the front of the medal is an authentic specimen of a meteorite. Serial number #257 of a production run of only 300 !! 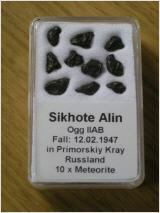 Attached in a recessed crater on the front of the coin is an authentic specimen of the Sikhote-Alin Meteorite meteorite. Production run of only 300 !! 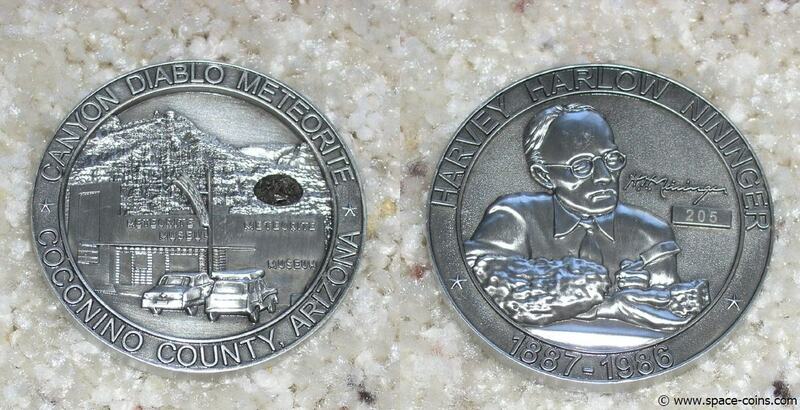 Attached in a recessed crater on the front of the medal is an authentic specimen of the Canyon Diablo meteorite. Serial number #433 of a production run of only 1000 !! 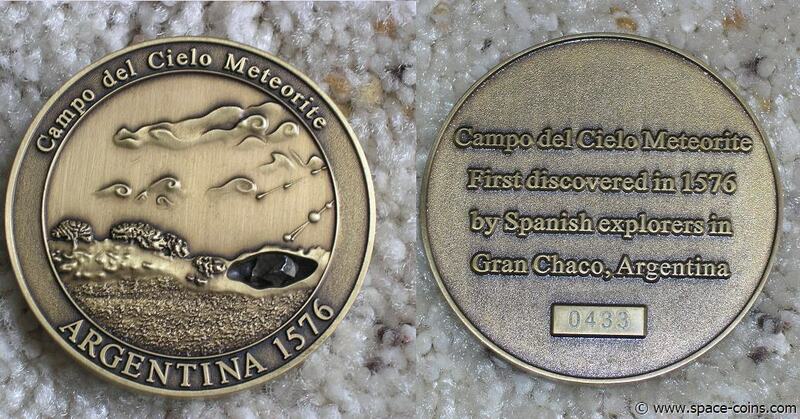 Attached in a recessed crater on the front of the coin is an authentic specimen of the Campo del Cielo iron meteorite. Serial number #568 of a production run of only 1000 !! Attached in a recessed crater on the front of the coin is an authentic specimen of the Northwest Africa 869 stone chondrite meteorite. Production run of only 250 !! 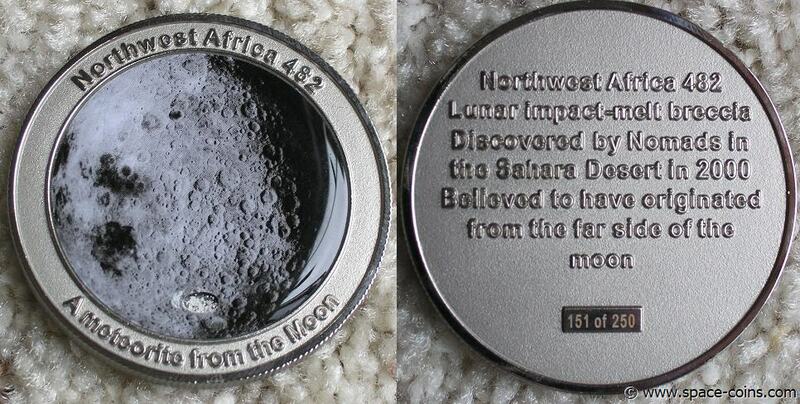 Medal with a photo insert of the Moon and a specimen of the NWA 482 Lunar meteorite embedded. 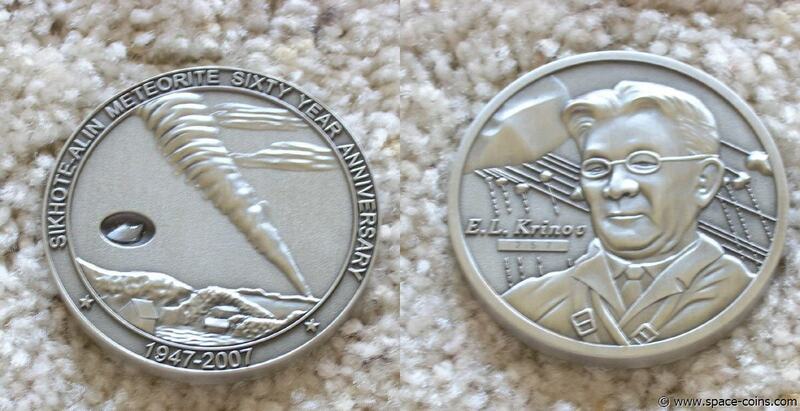 Medal with a photo insert of the Moon and a specimen of the NWA 2995 Lunar meteorite embedded. Medal with a photo insert of the planet Mars and a specimen of the NWA 2986 Martian meteorite embedded. Production run of only 1000 !! 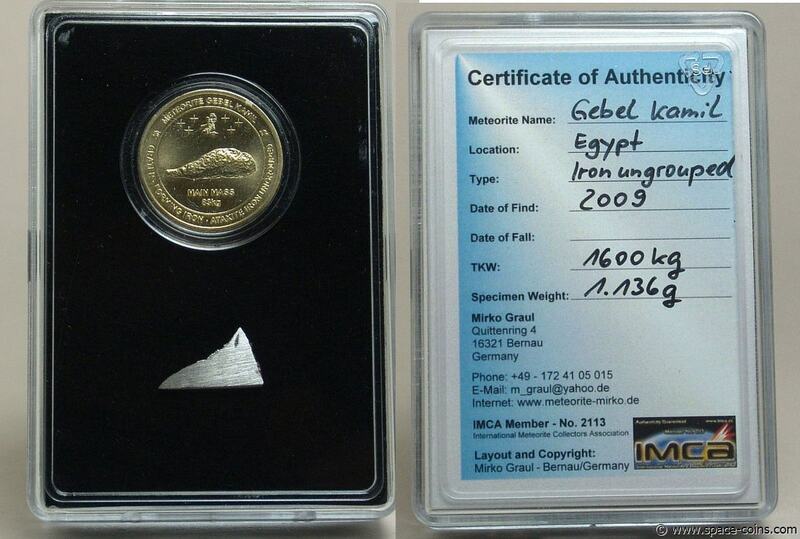 Attached in a recessed crater on the front of the medal is an authentic specimen of the Pultusk meteorite. 2008? 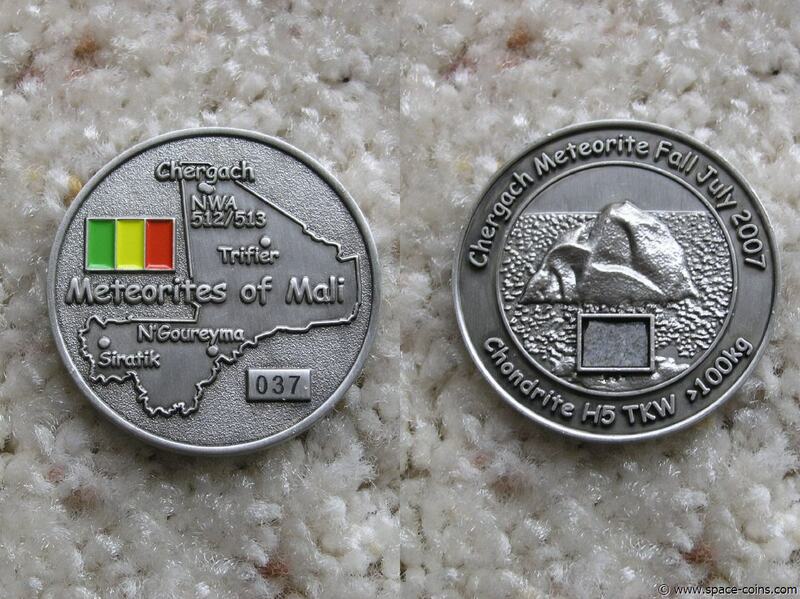 - Mali Meteorite Medal with Chergach Meteorite! Serial number #37 of a production run of only 100 !! 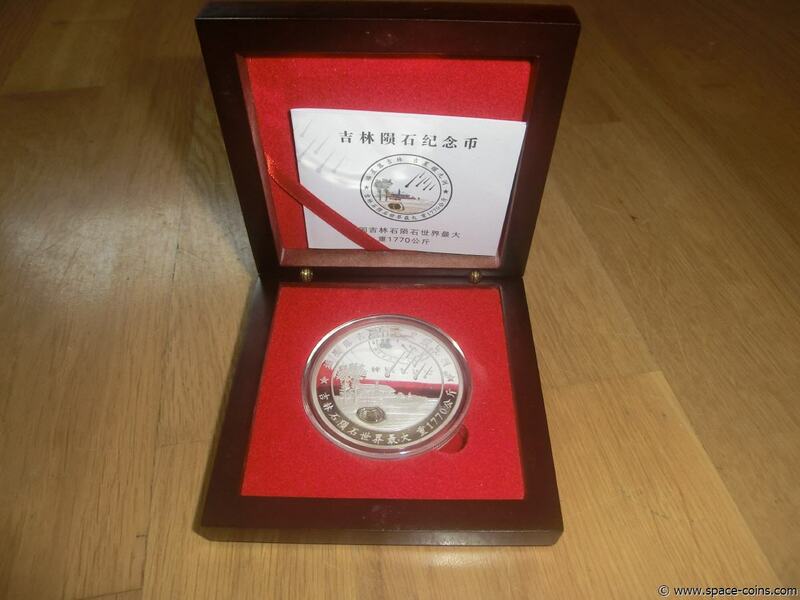 Attached in a recessed star-shaped crater on the front of the medal is an authentic specimen of the Jilin meteorite. 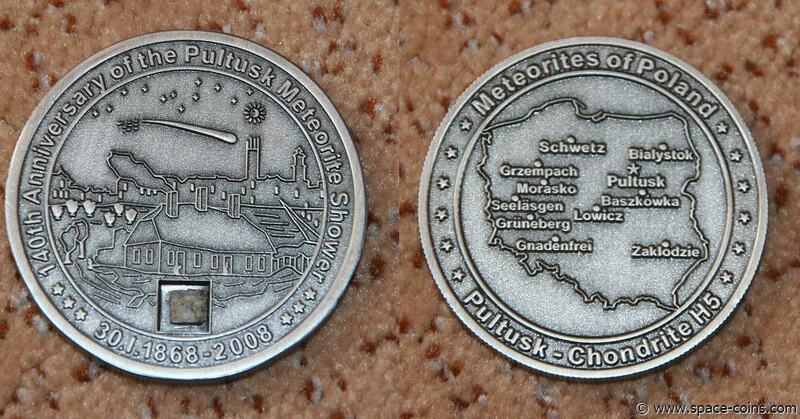 Attached in a recessed star-shaped crater on the front of the medal is an authentic specimen of the Lowicz meteorite. 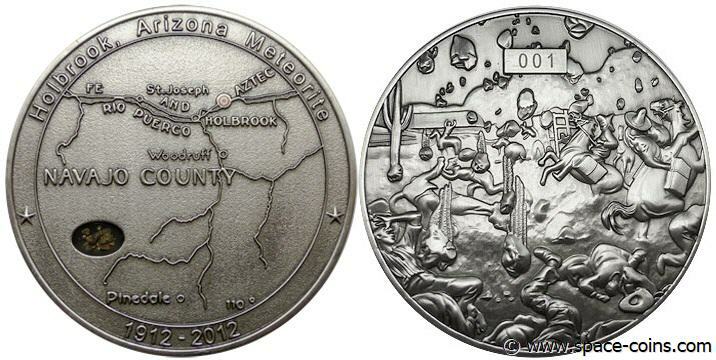 Attached in a recessed crater on the front of the medal is an authentic specimen of the Holbrook meteorite. 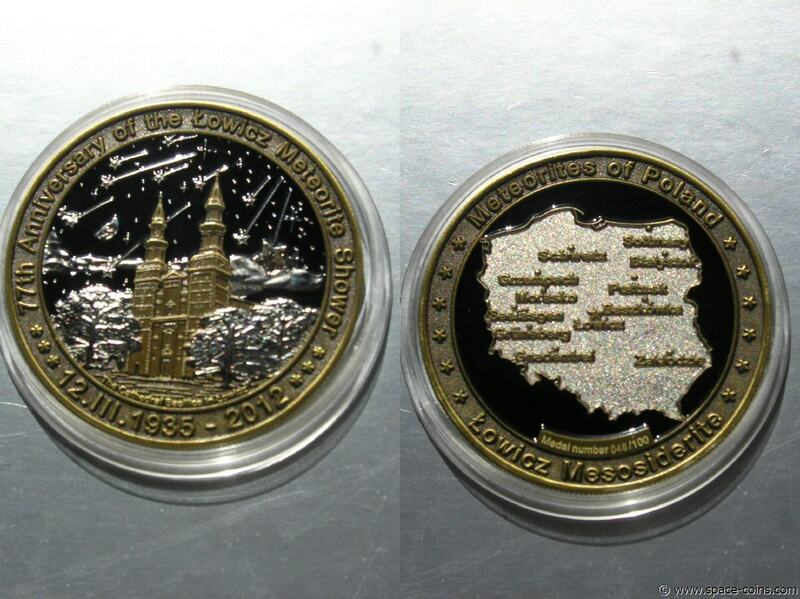 Attached in a recessed crater on the front and back of the medal are authentic specimens of the Gold Basin meteorite.